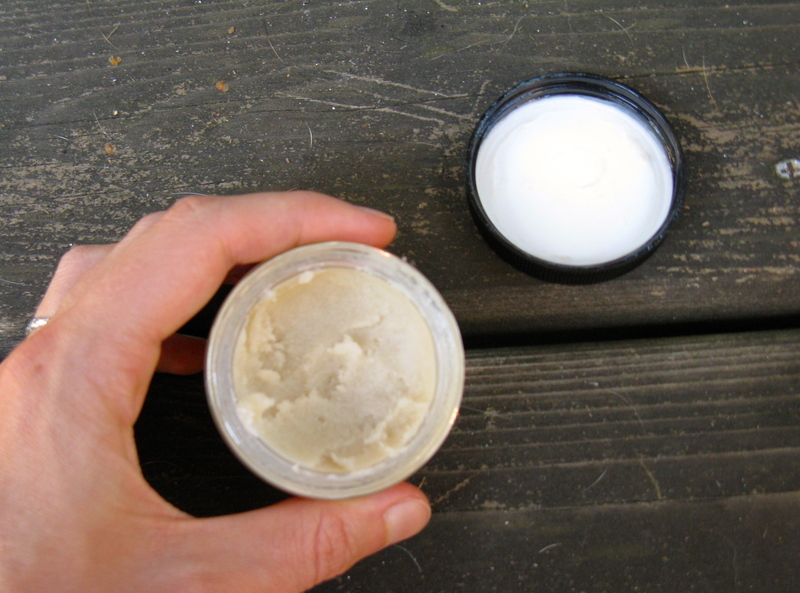 In an effort to continue naturalizing my body and beauty care regimen, I ditched my “natural” and aluminum-free Kiss My Face deodorant for something more pure (sorry, but a list a mile long with things I don’t recognize still doesn’t seem natural). 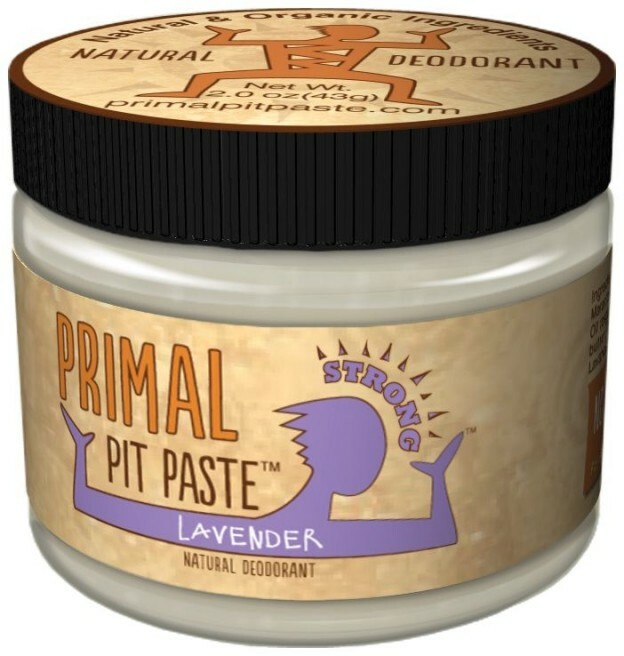 I was going to concoct my own deodorant with a a recipe that a couple of my followers shared, but then heard about Primal Pit Paste. I read the reviews on the website, looked over the short (and pure) ingredient list, and decided to give it a go. I ordered a jar of the lavender in the strong variety. Even though they recommend trying the regular first, I still went with the strong. I have never had much luck with natural deodorants and am very active in my life and job, so that was enough to deter me away from the regular. Who knows though, it might have been enough. 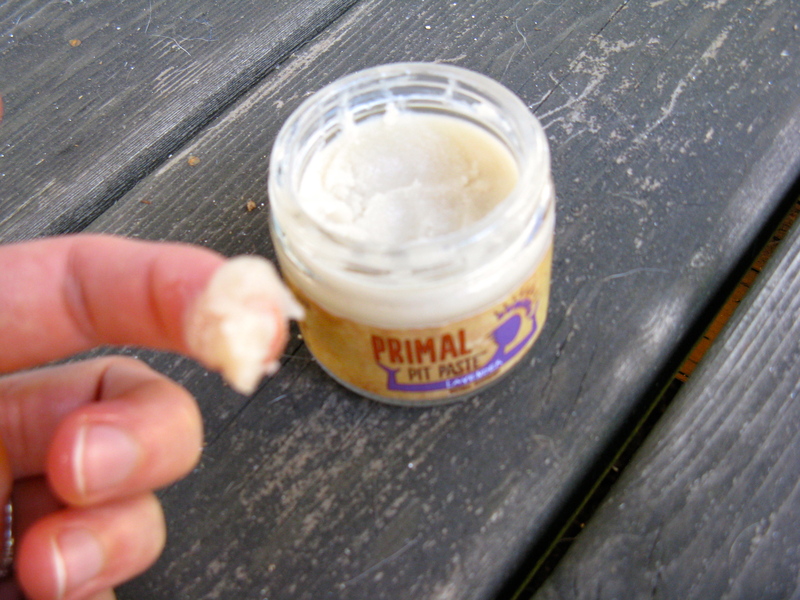 It’s been about three weeks or so since I started using Primal Pit Paste and so far, so good. I seldom have to reapply it, even after a sweaty workout, yoga session, bike ride or after a day in the heat. Honestly, this stuff blows my mind and I have had no problems with B.O. It’s a little odd getting used to applying deodorant with your fingers, but it becomes second nature pretty fast. Not only that, but it actually feels good — it’s moisturizing and slightly gritty. A little dab will do ya too — only a pea-sized amount for each pit. When the product first arrived, the oil had separated due to the heat. It came with a little stirring stick, so I gave it a stir and stuck it in the refrigerator to firm up, as directed. That did the trick and I’ve had no issues since, even with the house getting quite warm (we don’t have A/C). For anyone looking for an effective natural deodorant, I highly recommend this brand! I still plan to make my own at some point because it seems fun and it’s never a bad idea to have some backup! Also here’s the ingredient list: organic shea butter, organic coconut oil, arrowroot powder, aluminum free baking soda, essential oils. No parabens, no aluminum. Definitely! I was right there with you until I tried this stuff. I hate to say it, but I was even occasionally using antiperspirant because I was having such bad luck with the natural deodorants. Thankfully, I’ve rid myself of that completely and won’t be using it even occasionally anymore. Let me know how you like the Tropical Traditions stuff. It’s good to have options! It’s great that this ended up working well for you! Not sure if you saw my update about my homemade one on my FB page, but it ended up not working very well, think it might have needed more baking soda! Anyway I switched to a salt crystal deodorant so let’s see how that goes, but Joe’s friend who was here from America recently is coming back in October so we’re going to get him to bring some stuff over for us, so I think I might get him to bring one of these over for me. I wonder if the stick ones work as well, also is the lavender scent quiet strong or is it a nice smell? Yes, I did see your update. I’ll keep that in mind when I make a homemade one (add more baking soda!). I’ve never tried the salt crystal, but have looked at it. I always like something to have a little scent, which is why I never tried it. Plus, it seemed like it’d be scratchy! Is it? I know, it’s very exciting for me too! A natural deodorant that works is pretty rare, in my opinion. I highly recommend giving this a shot! 🙂 maybe i’ll check them out. right now, i’m very happy with http://www.etsy.com/shop/BatchNaturals even in this texas heat! I too wanted to switch to something truly natural and decided to try BN due to their use of dragon’s blood resin which i hadn’t seen in a natural deodorant before. side note: i also bought a few soaps, the face serum and chai lotion, and was sent a few samples with my order as well: the chapstick and multipurpose cream. all items have made me a happy camper. Thanks for the recommendation, Angela! I’ll have to check that stuff out…sounds like good stuff. By the way, what the heck is dragon’s blood resin?! I’m not familiar with that.